The air is getting crisper, holiday music is playing nonstop and your children have 50 items written on their gift lists already….which for many can only mean one thing… it’s time to go shopping. Shopping for a PEO that is! For one, many things handled by the PEO, i.e., payroll, open enrollment, health insurance renewal, and W2s fall out around this time as well, which is why 80% of PEO business is done in December. No, that’s not saying that PEOs are sitting around the rest of the year; there is still plenty for them to do all year round, but last quarter is when push really comes to shove. For another, with the hectic end-of-the-year business, with many employees taking vacations and companies trying to meet end-of-the-year goals, business owners are even more overwhelmed with their HR tasks and are looking for a way to simplify their lives. Plus with everything going on, errors are bound to happen, and therefore having a professional take over sounds like a great idea. So obviously, it just seems natural that this time would be the best time to switch to a PEO. we wouldn’t recommend rushing the process, as it can result in partnering with the wrong PEO and ending up with a contract and services that are all wrong for you. Plus with the over 700 PEOs in America, you really want to take the time to research which PEO best fits you. Similarly, a rushed onboarding equals problem, which in turn equals unhappy employees. And you know what they say, Happy Employees = Happy Work Life (hey, you try rhyming employees). But all kidding aside, rushing the onboarding process will prevent a seamless transition and most likely will result in mistakes costing you time, money and frustrations in the long run. But you ask, isn’t it preferable to switch at the beginning of a fiscal year? And while the answer to that is yes, to ensure that you are not being taxed twice or have other financial implications, a January 1st transition is most recommended, it doesn’t mean if you’ve missed the boat for this year (and unfortunately, as mentioned above, you have), then you have to sit around until next year waiting to make the switch. This is where a PEO consultant or PEO Broker (such as ARC Consultants, of course) comes in handy! When making a mid-year switch to a PEO, your consultant/broker will work with the PEOs to ensure that there is no financial impact to a company joining the PEO at any time of the year. Furthermore, if you decide that a CPEO is the right fit for you, the IRS allows for mid-year switches without financial or tax repercussions. So if you’re looking to switch to a PEO, really any time of the year is the ideal time to make the move. PEOs are here to make business owners’ life less complicated, why would you wait for a specific time of the year to do so? If you’re ready to make the switch, just do it! And do it now….because like I said, unfortunately, it’s ain’t happening overnight. Okay, you can pick up that phone again now! Give ARC Consultants a call and let’s get started on partnering you with the right PEO for you. 6 Reasons Why you Need a PEO Consultant or PEO Broker NOW! There are many reasons why you should use a PEO (not sure what they are? You can check out any one of the many blogs I’ve written about it such as this one). Every business owner, including hopefully you, has their own unique reason for partnering with a PEO. Perhaps you are just fed up with your administrative tasks eating up huge amounts of your time, overpaying for your company’s health coverage, or losing out on hiring top talent to companies that can offer better benefit packages. Regardless of the reason is (although I do hope my newsletters had at least a little bit of bearing on the decision), you are now ready to make that leap and join the thousands of companies who partner with PEOs. You ready? Let’s go, pull out the yellow pages–who am I kidding– turn to the all trusty Google and type in PEO providers. In 0.49 seconds 1.56 Million results come up (trust me, I tried it). Now what? How do you know which PEO provider is the right fit for your business? Will get you the best service? Best prices? Understand you? With over 700 PEO companies servicing businesses throughout the country, finding the one that meets your business’s needs can be a huge headache. Enter the PEO Consultant (AKA PEO Broker). And while the word consultant conjures to mind the famous adage “Those who can’t do, teach. Those who can’t teach, consult,” this is one case where a consultant can really DO a lot. A PEO consultant/ broker will do all the research and negotiating for you so that you sign a contract with the PEO that is perfect for your industry and your particular organization. I mean, after all, your time is so precious; why bother researching and reviewing dozens of companies or even worse having to sit through countless sales pitches and lengthy (read: boring) presentations (although the swag and refreshments are always a nice perk, you have better things to do with your time) when you can have someone do it for you? We all love the option of comparison shopping online, just click a couple buttons and have all the data to make an informed decision right in front of you. Unfortunately, it’s not that easy when it comes to PEOs. Pricing is going to be a huge factor in your decision about which PEO provider to use. But getting quotes from several companies can take loads of time, energy and endless paperwork on your part. PEO proposals tend to be lengthy and as discussed in my last newsletter can be complicated, i.e., containing many easy-to-miss small details and varying pricing structures making comparison-shopping extremely difficult. A PEO Consultant/ PEO Broker can provide you multiple quotes to review at once, making your decision that much easier, and they can advise you to which PEO is the best fit for your needs and the best value for your company. When choosing a PEO, you’ll have to choose between a National, Regional or Niche PEO. You’ll need to do research into each kind of PEO, and once you’ve made that choice, you’ll need to do further research into PEO providers within each category. That’s a lot of research for one decision! Think of the Consultant / Broker as that one guy who just knows everyone at the party….because honestly a good Consultant/ Broker will have already established dozens of relationships with PEO providers within each class. This way, they can guide you with this part of the process so you can make your final decision sooner. In addition, as mentioned above, knowing which type of PEO is the best fit for your business, eliminates the need to even sit down, never mind listen to sales presentation from PEOs that don’t fit your company’s needs (you’ll just have to do without the keychain, hand sanitizer or Danish). That’s why working with a PEO Consultant / PEO Broker will save you time and energy (and frustration), ensuring that you only sit down with those PEOs that services, technology and financial structure suit your business’ specific needs. Like every decision you make about your company, it’s all about the money, money, money! And to paraphrase the saying, “If you think hiring an expert is expensive, try doing it yourself.” Not hiring a consultant/broker can sometimes end up costing you more than any savings you might have thought you were gaining by doing it yourself. If you want to get the most value for your money with a PEO provider, hire a PEO Consultant / PEO Broker. An experience consultant / broker can negotiate on your behalf to get you the best service for the best price. And a good consultant / broker will use their exclusive relationships with PEO providers to draw up a deal that is favorable to everyone involved. Hiring a PEO is a huge decision that will affect your bottom line for years to come. Why not get the most for your money? Ever try to apply for something and simply give up just because of the sheer amount of paperwork? We know that feeling! In order to provide you with an accurate quote, a PEO will need to gather a large amount of data from you, including your employees’ salaries, insurance policies, health care requirements, workers’ compensation history, and a whole lot more. Since each PEO uses a unique proposal system, you’ll need to fill out all that paperwork each time you research another PEO. That’s paperwork times infinity, or at least it will feel like that. When using an experienced Consultant / Broker though, you only need to submit this information once. The Consultant/ Broker will evaluate your company’s data and give you quotes based on your specific needs so that you can make an informed decision with minimal paperwork involved. You’ve got enough on your head already; why not save yourself some paperwork—and lots of time? If you were in the market for a new computer and are not sure which one to get, do you go to a Dell store or an electronic store like Best Buy? Unless you know you want a Dell, I’d suggest going to Best Buy, because the Dell representative is only going to sell you a Dell which may not be the best computer for you. Similarly, when you work with a PEO directly, the company will try to convince you that they’re the best fit for your business. In contrast, when you work with a Consultant / Broker, they only have your own interests in mind and will help you make a decision that is best for you. They don’t make more money when you choose a particular PEO over another; they only want to make you happy. It’s always best to work with someone who has your best interests in mind. When most people think about partnering with a PEO, it is to get competitive insurance rates or better employee benefit packages, but the pros of a PEO far exceed just saving your time and money. Many PEOs offer employee training, safety compliance assistance, creating company culture and employee engagement, workers comp insurance, assistance with onboarding, hiring and firing techniques, government compliance and regulation guidance and so much more. For more benefits of the PEO, check out some of my past blogs. But it’s hard to take advantage of all these amazing benefits if you don’t even know about them. A PEO Consultant/ PEO Broker can give you the complete rundown of all the myriad of ways a PEO can help your business. And really, why would you want to miss out on something, simply because you didn’t know to ask for it? Want to see exactly how a PEO Consultant / PEO Broker can help your business get the most out of your PEO? Call ARC Consultants today and let them not only consult you, but DO all the work for you. 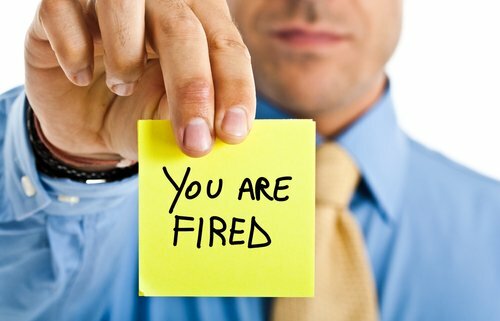 When it’s time to fire…And how to do it: 4 steps to firing an employee without any drama. In our last two newsletters (see here and here), we discussed how to hire the perfect employee, but despite all our good intentions, sometimes the day comes when we have to fire an employee. (Insert Gasp and sigh of dread here) If you speak to most business owners, they’ll most likely say firing employees is one of the hardest tasks that falls on their plate. In fact, the average employer waits way too long to fire a non-performing employee because they are dreading the task, although retaining them is costing them money, time and even customers in the long run. Which is why dreadful or not, firing is a necessary evil in business and should never be avoided. However, keep in mind that just like hiring the perfect employee is a process, firing the not so perfect employee is a process as well. But since there are laws that govern who you may or may not fire and what you may or may not be allowed to fire for, firing someone can actually be a lot more complicated than hiring them. So what do you need to know before firing someone in your organization? Like our discussion with hiring, the first step is to consider if you really need to fire this employee. Realize that not all employees are suited for every position. Before firing someone, consider whether perhaps they would be better fit at a different job within your company. Obviously this is only if the employee has done nothing wrong and exhibits great qualities and work ethic, but is sinking at their current position. Sometimes the difference between an amazing employee and an employee you are rearing to fire is TRAINING, TRAINING and more TRAINING (refer back to my second newsletter on hiring practices to see just how important training is). It may be that the employee you are considering firing, just needs some additional training and/or development. Offering them that training or development can gain you the perfect employee. And not to toot the PEO horn once again, but PEOs often offer this training and courses to employees of their clients. If you’re in the legal right to fire the employee (again, a PEO provider can assist in determining whether this is the case or not) you want to leave no room for a fraudulent case. Only fire someone face-to-face! Besides being courteous to your former employee, face-to-face leaves no room for miscommunication. Do not fire anyone without warning! Again, it’s a simple courtesy, but also, a warning legitimizes your claim against the employee. If you’ve told them already you’re not happy with their performance, they shouldn’t be surprised to be fired when they don’t improve. Also, no one wants to work in an environment where firings happen out of the blue. It just creates an environment of fear and distrust among your remaining employees. How well or un-well (isn’t that the antonym of well?) they performed their job. If someone is excelling write down….not so much so, write that down as well. Any infraction they did with time, place, details and witnesses names if applicable. Any warnings given before disciplinary action was taken. Make sure to record each time a warning was issued and by default each time said warning was ignored. As with any other types of documentation, have concrete proof of everything. And if something was relayed verbally, follow it up with an email so you have written proof of all interactions. Don’t fire an employee without a witness! The reason for this one should be obvious. If you have someone who is there to attest to your reason and method of firing, it is harder for someone to make a claim of employment discrimination. Protect your property and data. Terminate the employee’s access to all your systems immediately and change any passwords you may have, and don’t allow them to access their work area. Ask the employee to hand over their key, door pass, badge and any electronic equipment that is company owned, i.e., smartphone, laptop, tablet etc. Keep it short and simple! The more information you give, the more fuel they have to fight you. If you’ve given them the proper warnings (see #2), then they know why they are getting fired and there’s no need to rehash it. Honestly, it might just be cruel to do so. Like we mentioned above, some classes of workers are protected based on race, color, religion, national origin, gender, disability….you get the point. Therefore, when you are firing anyone, especially someone who falls in these protected classes, make sure you have a clear reason why you are firing them and have documentation. Don’t wait until an employee becomes a problem to begin documenting. Have a clearly defined method of tracking and documenting employee performance, establish uniform policies on what is expected and what is a fire-worthy offense, and if possible, discuss and correct problems as soon as they occur. If you’re really not sure if you have a leg to stand on, reach out to a professional (just saying, your PEO can most likely help you with this). And, no I’m not talking about hiring the replacement for your fired employee just yet (that we covered in our last newsletters), but I’m actually referring to Exit Interviews. All too often, this important step is skipped, but they are a valuable tool for any business owner. They can help bring to light issues within your company. After all, a fired employee has nothing left to lose, so they’ll be as blunt as possible and everyone needs to hear the blunt truth every once in a while. Now obviously, if your employee is leaving on bad terms and has a “burn the company down to the ground” mentality, you may want to take what they have to say with a heaping tablespoon of salt. But otherwise, be open to the criticism and see how you can improve both the work environment for your current employees, and implement ideas to attract better new hires. This step holds true whether you are firing someone or they are quitting. There’s nothing that strikes fear more in employees’ hearts than hearing that a colleague was fired! Unless you want to run a company on fear (trust me, you don’t – it’s not really the motivator you think it is), be open with your remaining employees about the circumstances of the firing. You don’t have to share the intimate details, but recognize that a change has been made to the staff and assure them that their jobs are still safe (unless they’re not, and if that’s case, go back to #1 and repeat). Obviously, the best option is to not have to fire at all, but when you do, keeping these points in mind can definitely make the process a lot easier, smoother and minimize your stress, dread and fear. Want to find out how a PEO can help you attract and retain quality employees or how they can help you with your HR administrative tasks so that both hiring and firing can be easier? Contact ARC Consultants today. This is really two separate parts of the same process: one is making sure your interviewees put their best foot forward, while the second is making sure you put yours forward. Knowing what to ask potential hires is essential to the interview process. Rule #1: YOU SHOULD NOT BE ASKING THEM ANYTHING THAT YOU CAN READ OFF THEIR RESUME! The interview is not about learning about their experience, education, etc., but instead it is a way of gauging their personality, work ethic and character and seeing how they will fit in your company’s current workforce and culture. In addition, don’t just ask about their expertise, but provide a hypothetical scenario in which they apply that expertise to a company related problem or situation. Rule #2 is therefore, GET CREATIVE WITH YOUR QUESTIONS. Turn the question back on them and ask them, “What question didn’t I ask that I should have?” Their answer will reflect a lot about what they feel is important; what they are more and less confident in and may dig up a nugget of information you never would have dreamed about asking. What would you do if you were CEO? Again, this reveals a confidence level and allows you to see if the hire is more comfortable in a leadership or follower role. Why wouldn’t you want to work here? They’ve got the “why I want to work here,” answer down pat, so reverse the script and ask them why they wouldn’t want to work here. This is the candidate’s opportunity to show that they have a great understanding for the business, but also that they recognize that no opportunity is perfect – but that they have solutions for coping with those obstacles. Have fun with your questions: What super power would you most want? If you can have lunch with one historical figure, who would it be? In general, interviews should be a conversation rather than question and answer, so anything that opens an avenue of discussion is a great question to ask. As for putting your best foot forward, make sure you are offering an attractive benefit package (a PEO can help you compete with the big dogs for this), a competitive salary and potential for growth. Having top employees requires competing for those employees, so make sure you’re in the game. Like your interview questions, get creative for ways to entice potential employees. A froyo machine in the break room isn’t sealing the deal, but it certainly doesn’t hurt and lets hires know that you’re a company that cares about the happiness of your employees (now that’s a win-win). Step 4: it’s not always about the hiring process. Hooray! You finally hired the employee of your dreams! Now what? Guess what, hiring the right employee is just the first step (or I guess according to this article, the third step) to having the perfect employee. And it’s not even the most important step– this final step is probably the most important step in the process and can make the difference between having an Employee Stud versus an Employee Dud. So what is this all important step? TRAINING! TRAINING! & MORE TRAINING! There, it’s so important I said it three times. There are no two-ways about it, good employees no matter their education, background, experience or super powers, need to be trained in working for YOU. To drop them in the deep-end of office management may very well show you how adaptive, self-sufficient and innovative your new employee is, but it really isn’t the most efficient way to getting the job done. Take the time to properly train your employees and keep them well informed about company changes, policies and what’s happening in the office. Trust us that extra time you take will definitely pay for itself in the end. Your USP (unique selling point) and how you compare to your competition. Every employee is a potential networking and sales person for you. That oh, so innocent question, “Oh, you work at So & So Inc. — are they any good at what they do?” can actually lead to a new customer/client. Not having the correct information to deliver an elevator pitch, may mean the difference of a new client or not. How to Solve a Customer Problem on their own. You’ve (or your employees have) been there and done that, so you really know most of the clients’ problems, although you must never underestimate the power of clients coming up with unique and crazy problems, but on the most part, you or someone on your team should know how to handle most complaints and issues. Give new employees the resources, the skills and the AUTHORITY to handle these problems instead of having to pass the buck to upper management when problems arise. It may also be worthwhile to assign a buddy/mentor for every newcomer. In this way, new employees have an address for their myriads of questions and they need not to feel like they are bothering management or feel stupid in asking questions. In addition, building a trustworthy relationship with someone with more experience in that company can help guide the newcomer and allow them to adapt and grow as part of the team. Through following these (albeit not simple but essential) steps you can ensure that you hire the best employee for your company and needs. Now if you think hiring someone is the hardest part of being a boss, just wait until you have to fire someone. Look out for tips on that in a future newsletter article. Need help with your HR administration or need more tips about the hiring/firing process, contact ARC Consultants to see how a PEO can help you with all your HR needs. With New Year’s just past (Do we all remember Y2K pandemonium? Can you believe it was 18 years ago? ), it’s time to reflect on those resolutions. For many that means personal resolutions. But believe it or not, New Year’s is also a good time for business resolutions, especially if your business is showing any of the following seven signs. And with the help of ARC, this is a resolution you can actually keep. So what are the 7 signs you might need a PEO? Read on and see if any sound familiar. If you’re desperately searching for more hours in the day to get through your entire workload, a PEO is the ideal solution for you. A thriving, growing business translates into growing administrative duties that you may not be able to keep up with. A competent PEO will streamline all of your administrative processes, such as overseeing payroll, new hire and termination processes, HR compliance and medical coverage for your employees. They assume the bulk of hiring and recruiting new workers, supervise employee data management and more. This might especially apply to you if: You have multiple locations, recently underwent an expansion, or experienced a large growth surge. Running a lawful business has never been more complicated. New rules and regulations are constantly being passed, and just keeping yourself and your business updated with these laws can consume most of your time and energy. Free up your brain space and drive for the things that really matter – like launching a new line of products or expanding your clientele beyond its current base – by outsourcing this tedious task to a PEO. They’ll do the hard work for you and ensure that your business is always fully compliant with all relevant laws. This might especially apply to you if: Your industry is high-risk and is governed by many complicated rules and regulations. Small businesses sometimes have to resort to hiring less-than-ideal candidates because they don’t have access to the handsome benefits package offered by larger firms. In an employee’s market, job-hunters can afford to be choosy and might not even give your business a chance if you can’t offer an attractive package. By using the services of a PEO, you’ll have access to a much wider pool of benefits you’d otherwise never be able to reach. This way, you can give your employees what they really deserve. While this is true with all employee benefits, it’s especially true with regards to medical coverage. A smaller business is often stuck with less-than-ideal coverage at ridiculously high premiums. This might especially apply to you if: You are a smaller company but have exorbitantly high premiums and/or deductibles. Your business used to run perfectly well with its current administrative practice, but now it’s outgrown itself. You might be entertaining the thought of building an internal HR department and are wondering what this might run you in costs. While the exact price tag varies with need, establishing an HR department is always time-consuming and relatively expensive. It can mean recruiting and hiring an HR director, using the services of a payroll company, and paying host of cost and fees that can be incurred by doing your HR in-house – all of which can total up to $200,000! Do you stick with the system you have in place even though it’s not working too well or drop a ton of money on establishing an HR department? You might think you’re stuck between a rock and a hard place, but there’s a simple solution: Hire a PEO! You’ll outsource all of your HR and you’ll have a greater depth and breadth of services at a reasonable price. This might especially apply to you if: You’ve already experienced the fallout of administrative practices that aren’t sufficient for your current level of growth. Acquiring another company is an exciting step for growing businesses and opens a plethora of new opportunities. Unfortunately, though, this process often leads to the realization that the current HR process was undermanaged or insufficient for the business’s needs. This can present a significant risk to acquirers, particularly in a stock purchase. You don’t want to end up losing out on the acquisition because of faulty administrative practices. By using a PEO, your HR will be handled efficiently and competently, removing all the employer risk inherent in an acquisition. This might especially apply to you if: Your administrative process was already floundering prior to the acquisition. Every business owner likes to think their best employees will stick around forever, but this is hardly true. Employees leave their places of work all the time – even ones they’ve worked in for decades. If you have an employee you depend on to manage HR, you might be lost if this worker leaves your company. It’s best to have a PEO working together with your employee so that you’re not up a creek if this key worker leaves. If the inevitable happens and you did not employ the services of a PEO before it did, it’s not too late to start now. A PEO can swoop in and save the day when you feel like you’re completely lost without your key employee managing HR. This might especially apply to you if: You’ve never played any part in the HR department at your business. Every business does it best to keep its employees safe, but understandably some work environments provide higher risk to their employees than others. When you are in an industry that has higher risks to your employees, the cost of your workers comp insurance can be quite high. Because PEO’s are shopping for this insurance in higher quantities they can provide better rates on workers comp insurance plans. And since the company partnering with the PEO can often take on the EMR (Experience Modification Rate) of the PEO, even those companies with high EMRs can benefit from the PEOs lower rate. In addition, PEOs can provide safety compliance guidance, improving your environment’s risk factors and your personal EMR to qualify your business for lower rates even if taking on the PEOs EMR is not an option. So essentially a PEO can both make your business a safer place to work and save you money on workers comp insurance. Now what’s not to love about that? This might especially apply to you if: You are in the construction or manufacturing industries which have high risk environments. Okay, you have to admit it, at least 2 or 3 of those signs apply to you. If that’s the case, you definitely can benefit from a PEO. Still not convinced? Contact ARC Consultants today so that they can determine if a PEO is right for you and if so, which PEO is the right partner for your exact business! Now, that’s something to cheer about! Happy New Year to all! Wishing you a stress-less and successful new year. So you’ve finally decided to partner with a PEO or maybe you’ve been partnered for one for years already. I’m sure you’re excited at the prospect of no longer spending hours of precious company time dealing with issues like payroll and other aspects of HR management, and you’re completely excited about the opportunity to outsource the work to the professionals!! After all, you’ve been told numerous times (in these articles alone) that a partnership with a PEO can save you tons of money and hours of work. And yet…when researching PEOs or interacting with your current PEO, you’re constantly baffled by the terms the companies are throwing around, and it seems like you are spending almost as much time just trying to navigate and decode the PEO world and terminology. Read on for our comprehensive list of PEO terminology and related words broken down into clear, simple English. ACA – The Affordable Care Act, more famously known as ObamaCare (although we’re not sure what our current president has to say about that) is a federal law that became effective in 2010, requiring all American citizens to be covered by health insurance. While talks of repealing the ACA has been taking place since Trump took office, the ACA is still firmly in place, so whether you’re a fan of the new administration or you’ve terminated your Twitter account in the last year, it doesn’t make a difference, you and your employees must comply with the ACA or risk being fined. Admin Fee – An administrative fee or service fee is a monthly fee charged to their clients by the PEO. It can be a fixed dollar amount per employee per month (PEPM) or a percentage of your gross annual payroll. Administrative Employer – The Employer of Record in a co-employment relationship, in other words, the PEO. This doesn’t mean the PEO has suddenly become your boss, but instead that they will be responsible for all administrative tasks of HR and compliance, including tax payments, payroll processing and more. And like I’ve said before, no need to feel like you are handing over the keys to the castle. You, the PEO client maintains full direction and control of your company. Ancillary Benefits- Sometimes called Voluntary Benefits. This refers to a secondary health insurance that covers miscellaneous medical expenses such as vision, dental, STD, LTD, Life, Group Life, 401k, FSA, HSA, hospital indemnity plan such as AFLAC or other similar programs; to name a few. Applicant Tracking System- An applicant tracking system (ATS) is software designed to help an enterprise recruit employees in the most efficient way possible. You can use an ATS to post job openings, screen resumes and schedule interviews with potential employees. Carve-Out – While carving out is something you do at Thanksgiving Dinner or wood-working class, this term actually refers to a hybrid PEO arrangement where the client company still maintains their own workers’ comp policy instead of obtaining coverage through the PEO’s master policy. This will occur when you simply already have an attractive policy in place, so why would you mess with a good thing? But no worries, the PEO can still assist you with the administrative side of your own policy. Classification Code – Often referred to as workers comp code or class code. This code allows your policy holder to see how the risk exposure your work has (think dangers of real deep sea fishing vs. the relative safety of fishing for sales leads) and classifies the type of work being performed. The classification code provides an associated code so that premium rates can be established in accordance to the work’s level of risk. COBRA – No, it’s not about finding a venomous snake in your facilities. The Consolidated Omnibus Budget Reconciliation Act (COBRA) gives qualifying employees and their families who lose their health benefits the right to choose to continue group health benefits provided by their group health plan for limited periods of time. This way, you won’t be leaving your employees without coverage. CPEO – If you’ve been reading my newsletters religiously (which of course I’m sure you have been), you should already be familiar with this term from my July newsletter on the topic. But in case you missed that one, here’s a quick rundown. This term is only a few months old. Effective June 1st, 2017, a Certified Professional Employer Organization is one who’s been certified by the IRS. Like everything else the IRS oversees, becoming qualified as a CPEO involves lots of paperwork, applications and a strict background check. And just in case you want to read that original article (for review purposes only of course) you can check it out here. Dividend – A refund of premiums for workers’ comp policies. How cool is that? It’s almost like getting free money! The refund is paid when the claims of the members on the plan did not exceed the premium payments. Dividends are offered, but not guaranteed, by some PEOs. DOL– The U.S. Department of Labor; (some of you may know them as Big Brother, because the DOL is always watching). In reality, the DOL is there to promote the welfare of job seekers, wage earners, and retirees by improving their working conditions, advancing their opportunities for profitable employment, protecting their benefits, and helping employers find workers. The DOL also protects workers’ rights to safe working conditions; a minimum hourly wage and overtime pay; freedom from employment discrimination; unemployment insurance; and other income support. What you have to know: treat your workers well and the DOL won’t be a problem for you. EEOC – The Equal Employment Opportunity Commission is a federal agency charged with ending employment discrimination in the United States. The EEOC can bring lawsuits against private employers on behalf of alleged discrimination victims. So make sure you always hire fairly! Emod –“Experience modifier” is a rate modifier used by the NCCI (National Council for Compensation Insurance) to define the risk of a particular employer. Obviously, the guy who cleans skyscraper windows will have a higher risk than the one who changes the paper in your copy machine. Employee Census – Don’t worry; this isn’t a bunch of CEOs knocking on random doors and asking intrusive questions. Rather, it’s a report prepared by an employer that provides the insurance companies the necessary data for the underwriters to determine insurance and benefit rates. In addition an Employee Census may also help ensure that a company’s retirement plan is in compliance with Department of Labor laws and Internal Revenue Codes. Employee Handbook – Remember that thick student handbook they gave out in high school? This is kind of the same thing. Sometimes known as an employee manual, staff handbook, or company policy manual, this handbook is distributed to employees and details the company culture, policies, and procedures. EPLI– Employers Practices Liability Insurance is insurance purchased by an employer to protect himself/herself against errors in willful and accidental employer practices, such as wrongful termination, harassment or other ugly situations that can come back to bite you. This way you’re never at risk of losing a year’s profit on one lawsuit! Thankfully, this is something that is usually included and provided to you as part of the services you get when you sign up to partner with a PEO. ERISA– The Employee Retirement Income Security Act of 1974 (ERISA) is a federal law that sets minimum standards for most voluntarily established pension and health plans in private industries. You don’t need to fund their retirement cruises, but you do have to give your employees enough to live on in their golden years. FICA– The Federal Insurance Contributions Act (FICA) tax is a United States payroll tax imposed on both employees and employers to fund Social Security and Medicare. You have to know that money for these programs is coming out of someone’s pockets, and in this case, it’s yours. FLSA – The Fair Labor Standards Act (FLSA) establishes minimum wage, overtime pay, recordkeeping, and child labor standards for full-time and part-time workers in the private sector and in all levels of government. And while child labor is a thing of the past in the US, many of these other things can be a real problem for a business owner who doesn’t comply. FMLA – We all think family is important, and thankfully for your employee, the government thinks so too. Covered employers must grant employees up to a total of 12 work weeks of unpaid leave during any 12-month period for one or more of the following reasons: the birth and care of a newborn child; placement with the employee of a son or daughter for adoption or foster care; caring for an immediate family member with a serious health condition; medical leave when the employee is unable to work because of a serious health condition. FUTA – This one sounds waaaaay cooler as an acronym. The Federal Unemployment Tax Act authorizes the IRS to collect a federal employer tax to fund state workforce agencies as well as half of the cost of extended unemployment benefits. As the title indicated, this is only Part I of this series…Who knew there were so many relevant terms to the PEO industry? Stay tuned for the continuation of these terms in our next newsletter. Or can’t wait for the next newsletter and you rather not wade through the confusion alone? Call ARC Consultants and see how we can help clarify the process and navigate PEO partnership for you.